If your kitty is suffering cat paw pad infection and you are seeking for proper treatment for her/him, please keep reading our article to have the answer. According to the oriental medicine specialists, a specific person’s feet can tell a lot about his/her overall health. By looking and checking up the feet, some of the specialists could diagnose exactly which type of sickness you are suffering. Coincidently, the health check method above is completely applicable to cats. The majority of cat feeders don’t emphasize on checking their cats’ paws frequently, but a pet’s paws could reveal its overall health status. As normally, your lovely cats are so energetic and active, they may freely run, jump and play on all types of terrains. That’s the reason why they may suffer abrasions, allergies, foreign objects, and bacterial infection. Luckily, these diseases are pretty easy to cure if you detect them at the early stage. If your feline is unluckily diagnosed as cat paw pad infection, please check out our article to grasp the base understanding about this disease and know the accurate treatment. Now, let’s jump in! What is cat paw pad infection? As we mentioned above, the cat’s paws are the most powerful and valuable tool which help cats easily run and play. Unfortunately, cat’s paw layer which acts as the outer protective layer is pretty thin and it may be damaged by the edged or lumpy objects. If this protective layer is cut and improperly treated, it will result in infection. The most observable symptoms are bleeding, redness, inflammation and lameness. 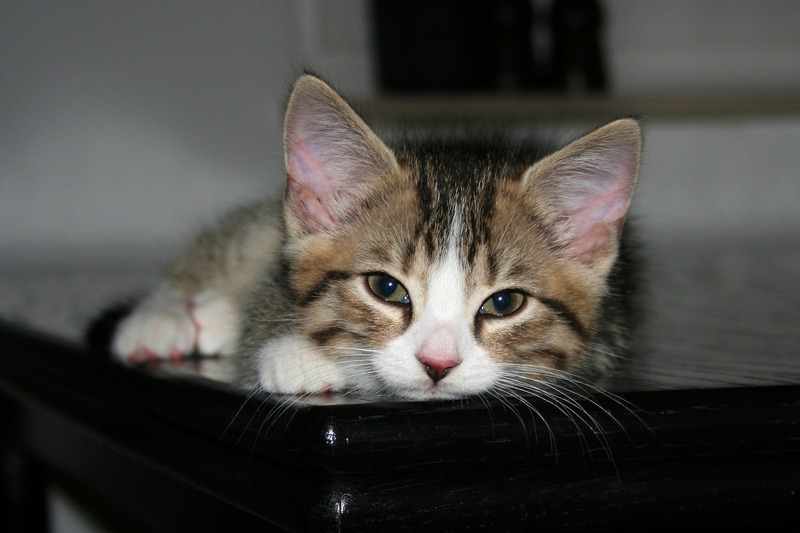 Your kitten may lick excessively and regularly at the affected paw to give the signal for its owner. As there are a lot of reasons leading to the infection, infection treatment differs and depends on the nature of the injury. Puncture wounds are normally prone to infection. This is one of the most annoying sicknesses as it causes pain all the time. In this case, firstly, you should apply poultice in the wounded area to release purulent discharge. Secondly, a course of antibiotics is also needed to cure the puncture wounds. As human, cats are also in need of clipping their claws frequently to avoid overgrown claws which may damage pad and cause pain. In order to help your lovely “boss” reduce pain, you should treat him with sedation medicine. In addition, the injured pads are needed to be bathed with a disinfectant like chlorhexidine. In case the wounds bleed, a 24-hour light covering is needed. Plus, in most cases, it is advisable to apply a course of antibiotics. When it comes to burns, immediate first aid treatment plays an important role in the treatment course. You need to hold your cat’s pad under cool running water for approximately 15 minutes. As several injury cases above, apply antibiotics is also needed to prevent the wound from secondary infections. Moreover, cats also need pain-relieving medications. Cat’s wounded pads always slough and leave the inner fat pad exposed. Hence, cat’s paws require regular dressing to promote healing. The Laceration is a frequently seen case in cats. When your cat’s paw is cut, you should clean it with salt water or chlorhexidine. In case you detect the lacerations early, you should seal over the cat’s paw in around 2 weeks. Dress and wear an e-collar 24/7 to ward off interference with the healing wound. When laceration is detected at the late stage and the wounded areas expand and spread out, surgical treatment is necessary. In unlucky case, it may leave a scar. It may take several weeks to recover. Actually, the recovery time depends vastly on the nature of the infection. For a slight infection, it may take 10 days to recover. However, in serious cases which require surgical treatment, it may take up to 4 weeks for your pet to get well. Notably, in recovery time, your cat may have mobility issues. Furthermore, when under infection, your cat’s paws need to be carefully protected. You should use shredded paper to cover the infection areas. Simple preventative methods like the use of a burner cover or biweekly toenail clipping are able to reduce the risk of recurrence in these cases. Finally yet importantly, love can cure all types of sicknesses. When your cat suffers pain, don’t forget to give her/him extra love. Cuddling, stroking and feeding her/him appetite food will help her/him forget the pain and stay happy. To sum up, there are many reasons causing infection. And you have to know the exact reason to apply proper treatment. Hopefully after reading our article, you could grasp useful information about the cat paw pad infection and know how to treat it properly. Hope your cat is getting better soon. Finally, thank you for reading our article. Please like and subscribe to stay updated with a wide range of helpful articles related to cats.